From strikingly sharp mountain ridges, to dense temperate rainforest, and rolling foothills of Tasmanian bush country, Tasmania has no shortage of awe-inspiring backdrops for a whitewater rafting adventure. Rivers range from Class II to Class V, and trips vary in length from one day to fourteen days. The Mersey River cuts an impressive canyon just 85 kilometers south of Devonport, and provides a great one-day adventure for families and beginners. 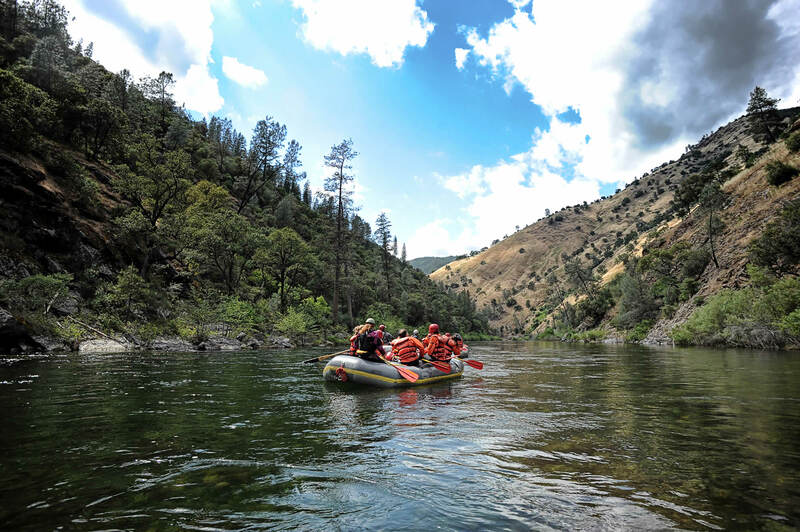 Located 80 kilometers south of Hobart, a rafting trip on the Picton River is a gentle ride through a mixture of lush rainforest and Tasmanian bush country. The Franklin River runs 125 kilometers through Franklin Gordon Wild Rivers National Park, and is a true expedition-style journey in the heart of Tasmania. Trips can last anywhere from five to fourteen days. An island 200 kilometers south of the Eastern side of Australia, Tasmania remains one of the world’s most pristine and untouched regions. Reserves, National Parks, and World Heritage Sites claim over 37% of the island, and it is famous for having the world’s purest air. Its rivers, therefore, bare witness to some of the world’s oldest forests and varied terrain.